Welcome to the charming neighborhood of Pine Ridge-a mature, tree-lined circle of homes conveniently located within minutes of Smedley Park, public transportation and Media Borough, with its many shops and restaurants. 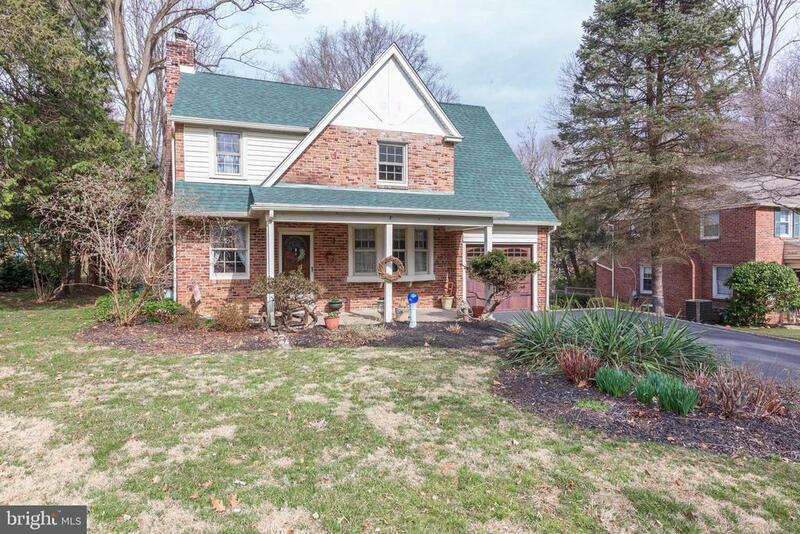 This home, situated on a large landscaped lot, features 4 Bedrooms and 2.5 Baths. The spacious Master Bedroom with cathedral ceiling can accommodate an Office or Nursery and is part of a two-story addition that created a new, expanded Kitchen with an informal Dining Area. The first floor also features a Living Room, formal Dining Room and Powder Room. There is a screened Porch accessed from the Family Room and a one car attached Garage. In addition to the Master Bedroom, the second floor has three additional spacious Bedrooms, one with an En Suite Bath". There is also a Hall Bath. The finished Basement offers space for a playroom and exercise area. Located in the award-winning Wallingford Swarthmore School District, 727 Hemlock offers easy access to the Blue Route, Philadelphia International Airport and downtown Philadelphia. The Pine Ridge community is an active one, with parades, luminaria and neighborhood dinners for special events. This is truly a must-see home!